It seems that every day there is a new study that comes out on beer, and that it contradicts the findings from the study the day prior. One study says beer is horrible for your health and that you should completely avoid it, while others say the complete opposite in that you should be drinking beer. The truth is that too much alcohol can kill you. Most everyone is aware of the risks of alcohol, and that excessive use can lead to serious problems such as cancers and can even kill us. Alcohol doesn’t just cause liver problems but can cause cancer in others as well because it promotes inflammation in the body. On top of that it impairs our motor function and our judgment, which can lead to injury or death as well. When it comes to beer, like most anything else it is all about moderation. 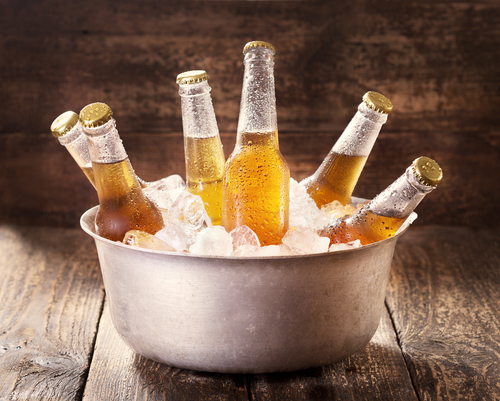 Studies have shown that drinking 1-2 beers or other alcoholic drinks a night can actually have positive benefits on our health like improved circulation and reduced stress. Conversely however those who drink excessively are at risk of all those negative health effects, and by drinking excessively that means 4 or more drinks regularly a night. The difference between what is considered healthy here and what is considered excessive is a much thinner line that most people would think. Other things to consider when looking at the negative effects of alcohol is that many other things are at fault as well. For example those who drink excessively and are at risk for stroke are more than likely to eat a poor diet as well, so the alcohol isn’t 100% responsible here. Does the Type of Beer You Drink Matter? Many of the problems associated with alcohol are due to inflammation, which may be due to the gluten found in many of these beers. Switching to a gluten free beer or another type of brewing method may ease the digestion on your stomach, which can help with digestion among other things. 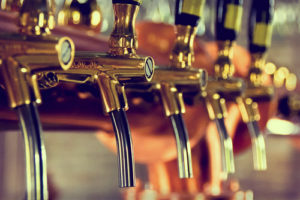 Micro brewing has really taken off across the United States over the last few years, and because of all of these little companies popping up there are so many different varieties of beers available. 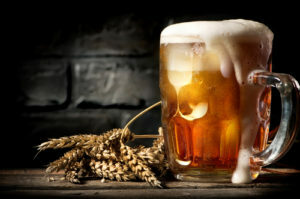 Many places are brewing their own variety of gluten free beers, which consist of rice, millet, sorghum and other grains that don’t have gluten like barley and wheat which are commonly used in the brewing process. Hard ciders are similar to beer as well, can be found in many bars and are another gluten free option. Organic beer is another option for those who suffer from allergies or intolerances, because they don’t contain toxic synthetic fertilizers or chemicals. Are There Any Health Benefits to Drinking Beer? Most people have heard about wine and how it can help improve their cardiovascular health, but beer can do so as well. People who drink beer in moderation have in between a 25-45% lesser chance of developing cardiovascular issues compared to those that don’t drink. Most people don’t know that beer is rich in nutrients like potassium, magnesium and B vitamins because of the presence of barley, hops and yeast. Most people don’t think of beer as a nutritional supplement, but it does have some benefit there. Many ingredients in beer like hops for example are full of different types of acids and enzymes which help with the digestive process by breaking down some of these macronutrients. Low doses of alcohol actually stimulate the passing of bowels as opposed to higher doses which can lead to constipation. The American Diabetes Association’s research shows that people who drink moderately have the lowest risk of getting type ii diabetes. It is believed that certain compounds in beer, called isohumulones decrease lipid levels due to studies performed on mice. These compounds are found in hops, which are used to brew most beers. Beer is rich in antioxidants, particularly ones called polyphenols. These compounds are important because they fight off diseases like diabetes, cancer and cardiovascular disease. Wine is known for its antioxidant power but beer is believed to be just as rich, so don’t hesitate to grab a cold one next time.